This Lastenkraxe is the most original and the hardest working form of all back-carring systems. the welded external aluminium frame with four diagonal struts can carry up to 50kg. 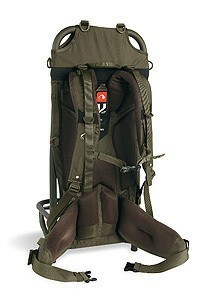 The extensively constructed, padded V2 carrier system has been choosen for its load transfering abilities. Combination of aluminium frame and V2 carrying system. The Lastenkraxe has a welded aluminium frame, and provides the necessary carrying comfort for heavy luggage. Suitable for a carrying load of up to 50 kg, it is extremely versatile. A 25-cm deep arm is the load area. The tubes of the main frame are 24 mm in diameter, those of the cross frame 20 mm. Stability is guaranteed by a total of four diagonal struts on the main frame. 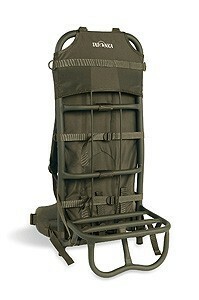 The one-piece reinforced hip strap and carrying straps are well padded to prevent pressure spots. Perfect stability even on uneven ground is guaranteed by a stand that also offers additional attachment options.